Flame – Talking Synth Module – Speakjet Malfunctioning Jumble from Richard Devine on Vimeo. Dillinger Escape Plan played two shows in Chicago last saturday, one opening for the Deftones and a second show at the Bottom Lounge as the headliner. I’ve been to several of their shows and have never seen them like this. Like always they were consistently intense from the first note to the last but Chicago came with a crowd that gave back as much energy as much as Dillinger put in. This video isn’t about the music as much as it is about the energy and chaos of the night. 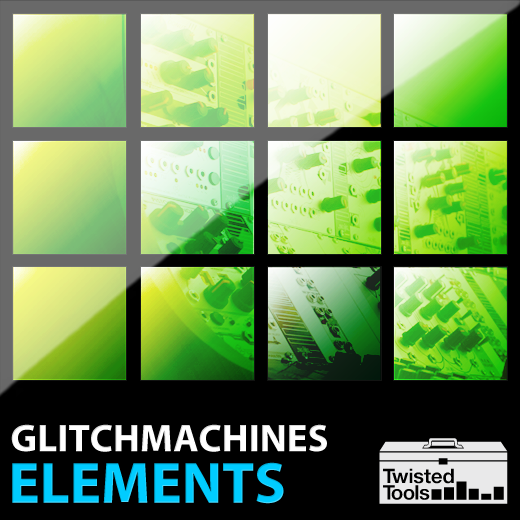 ELEMENTS is a collection of massive analogue oneshots, heavily processed foley and designed sounds by legendary circuit bender Ivo Ivanov of Glitchmachines. The Elements sample pack comes coupled with sampler presets for most major sample formats as well as 128 royalty free original loops, all of which were made using the oneshot sounds included in the pack. To top it off, the package comes with a new Twisted Tools sampler, MP16b, which works with all versions of *Native Instruments Reaktor 5. While doing research on all of the Universal Audio plug-ins for their cards, I was surprised by the amount of record engineering history I was learning. Their reverse engineering and porting process is amazing to watch and creates tools that are among the best I’ve ever used. Kill a minute…. Leave it to James Cigler to do the most thorough overview of the RENÉ. There are some great tips and tricks so PAY ATTENTION. While waiting for client reviews, updated revisions and general contact, I get inspired by whats laying around. Fortunately Eventide sent over these pedals for Synth Event 9 but unfortunately I’m an idiot and had them delivered to the wrong address so no one got to mess with them. But they’re here now and every single one of them is amazing. My favorite being the almost unobtainable Space which has been backordered until summer and the PitchFactor! While the ModDeMix is similar with existing effects (ring modulation/ amplitude modulation), it is an entirely new analog circuit creating an entirely new analog sound. I helped beta test this a year or so back and find it still creates a wonderful smooth distortion/ ring modulation that is perfect for me. Tony Rolando from Make Noise explains some of the features briefly and how to achieve them. For amplitude modulation (AM), all that matters is that the CV/ Carrier signal is uni-polar, meaning it goes from, for example, 0V to 10V (like MATHS or most envelopes and many LFOs). In my video, I start with a VCA patch (which is itself a variant of AM) where the Carrier/ CV signal is a triggered function (aka Envelope) from a channel of MATHS as triggered by the Stillson/ Zorlon combo. I then move into AM by using MATHS, cycling, from low freq up to audio rate. It was a method for sending intelligence through the air (radio communication), also used for intelligence encryption at times. It is essentially what musicians usually call ring modulation. Actually many ring mods usually do Double Sideband, but for musical purposes, ring mod = balanced mod = single/ double side band. With AM, you will still hear the carrier very well, which can be nice, I think, for thicker sounds. With Single or Double Sideband, you mainly hear the product of the process, the sidebands, so the result will often be thinner sounding. Carrier must be bi-Polar. With alot of ring mods, this will not matter, because they are AC coupled, so everything that passes through the coupling will end up bi-polar. I wanted modDemix to be more universal, so it is Direct Coupled, and thus will operate as VCA or for AM, since Carrier in is direct coupled. You can manually move amplify or attenuate the signal by using the Gain Knob or CV into the Ring Modulation. Aux IN, is unity input to the summing stage. It let’s you daisy chain several modDemix SUM outs to create larger voltage controlled mixes (2, 4, 6, 8). There is a good amount of headroom. Same summing circuit as QMMG. There are other uses though. For example, if you patch a DC offset to the Aux, something powerful like 0 to 10V (MATHS) you can get VC clipping. It is now a proper sum out. Top, Aux. and bottom channels are summed and output at this jack. The Top Carrier/ CV IN is still normalled to the bottom’s carrier IN, and the bottom Signal IN is normaled to the Top’s OUT, so you can do modulate/ demodulate with ease. Both OUTs feed the summing stage, weighted for added headroom (as on the QMMG). Finally, the bottom Signal IN is normalled to it’s own Carrier in, for Octave UP effects. Thank you to everyone that came to the Trash_Audio & Xart Synth Event 9 and made it more of a success than I could ever imagine. Here’s a spoiler video showcasing the last piece, an improvised duet by Richard Devine and Alessandro Cortini. If you have videos, photos or posts made about the Synth Meet, please e-mail me at trashaudio@gmail.com!